How do I apply for help with equipment? Tree of Hope can support you in fundraising for specialist medical equipment that your child needs. 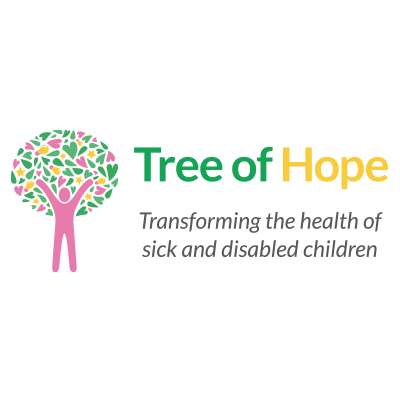 The current UK Healthcare System cannot always provide the specific equipment children need, or the most advanced so Tree of Hope is here to help you get your child the best equipment for their needs. Fundraising for a specific piece of equipment may be your whole fundraising goal, or it might be the smaller part of a larger target. There are no strict boundaries for the equipment that you can fundraise for, as long as a medical professional has agreed that it would be beneficial for your child’s medical needs. Below is a short outline of some of the items we regularly help children with. Tree of Hope initially will start by getting you to fill in this short form . If you would like to talk to Georgie or Lee in our Family Support Team to talk more about how we could help you call 01892 535525. We realise that when it comes to finding the perfect wheelchair for your child, it can be difficult. Whether your child needs a specialist power chair so they can become more independent, or you need an all-terrain chair to access the beach or countryside or you simply need to upgrade or make adaptions to your current chair, Tree of Hope can assist you when it comes to raising the funds for your child’s needs. Every Childs needs are different and often children hugely benefit from using a trike as a form of therapy and also allowing them to join in the fun with friends and family when out and about. We support families to fundraise for specialist trikes from suppliers like Quest 88 and Tomcat that have been adapted to their child’s abilities, needs and size. Hydrotherapy is one of the most popular types of therapies that we help children to receive but it is often much more cost effective and beneficial to the child to have regular sessions in a hydro pool.